Contaminated, freshly picked produce has remained the leading cause of foodborne illness outbreaks in North America for the last five years. The FDA’s analysis of the most recent romaine lettuce contamination, tracing 62 illnesses in late 2018 back to a pathogenic E. coli strain found in reservoir sediment on a farm in central California, confirms suspicions that whatever detrimental event happens in the field does not stay in the field: All dangerous pathogens end up on consumers’ plates. Fresh produce has been a high-risk food from the time the first salad was prepared. The growing conditions for crops are open to a variety of contaminations from sources ranging from E. coli-ridden irrigation water to the compromised cutting knife of the harvester. Once contaminated, there is no one intervention step to decontaminate produce sufficiently to sever the public health risk. Conventional thinking has been that thorough washing could remove contamination from produce. However, the industry has known for years that it simply transfers pathogens around. Rather than sanitizing produce, washing fundamentally re-contaminates. Moreover, although fresh produce has been a leading cause of foodborne illness over the years, reports of outbreaks or recalls have drastically increased of late. There are numerous reasons for this: globalization of the market, high-density production, improved ability to detect pathogens and instant reporting on social media. The lasting effect is that, where outbreaks might have gone undetected before, they are now fully conspicuous. There is no way to hide the facts. Consequently, the fresh produce industry is scrambling to find more effective decontamination methods that can supplement, or be an alternative to, washing. 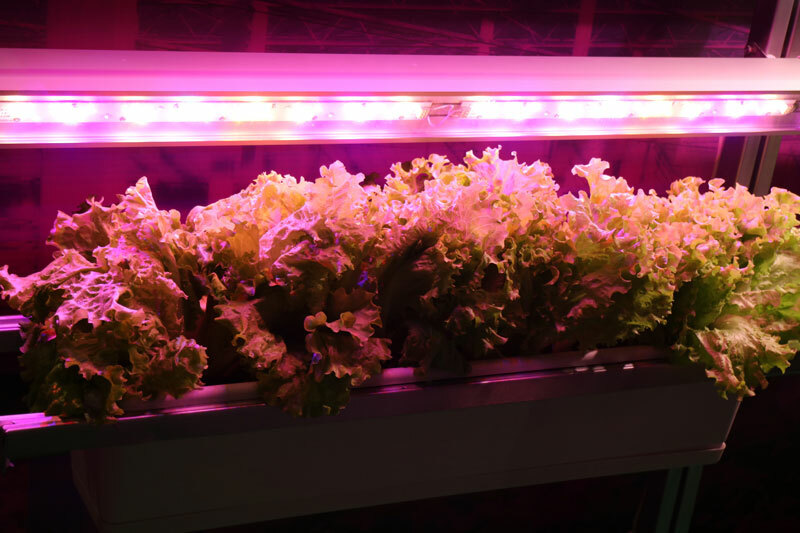 UV-C-based technologies can make a significant contribution to outbreak prevention and add the requisite additional layer of safety and shelf-life extension into the fresh produce protection mix. For example, at the field level there is the potential to treat irrigation water, thereby preventing the crops from being contaminated by pathogens in the first place. Yet, although pure water is typically envisioned as being used to irrigate crops, it can be murky – especially if sediments are picked up from the river or canal bed. So, the main impact UV-C-based technologies can have is at the processing level, where UV-C light is being applied to the reduction of pathogens in recirculated wash water, thereby minimizing the risk of cross-contamination. UV-C food disinfection tunnels have been applied to post-harvest processing. However, their effectiveness is ultimately limited by the shading areas on the surface of produce, which provides protective sites that offer safe harbor for pathogens. This can be overcome to a limited extent by rotating the produce during conveyance, and/or applying high doses, thereby increasing the probability of achieving a fatal strike of the pathogen. However, excess movement of produce or over-exposure to UV can result in damage to the crop, undermining its value. One approach to overcome stated limitations is a recent method based on the use of UV-C mediated decomposition of hydrogen peroxide and/or ozone to produce antimicrobial free radicals that can inactivate potential pathogens outside and within produce. AOP has been shown to be effective for inactivating pathogens, such as Listeria monocytogenes, on a wide range of produce types, and commercial units recently have been introduced. Although most of the focus is paid to UV-C as the antimicrobial agent, there has also been research on using photosensitizing agents that are activated at longer wavelengths, such as in the UV-A range (405 nm). In these approaches, the UV-A irradiance activates an agent deposited on the surface to produce antimicrobial radicals. The best known photosensitizing agent is titanium dioxide and phenolic compounds. The big advantage of sensitizing agents is that the shading effects can be overcome, and UV-A does not represent a health risk to exposed workers. The tradeoff is that deposition of photosensitizer onto produce can be restricted, given the sensory changes induced, which would undermine food quality. In conclusion, the fresh produce sector is in desperate need of effective food safety interventions that do not affect food taste and coloring. The spate of outbreaks and recalls – along with increased surveillance, the public health risks and economic effects – imply a lack of response. Germicidal ultraviolet light can help meet this clarion call for new solutions. The IUVA Food and Beverage Safety working group explores the latest updates on the science-based validation and commercialization of UV-C technology for food growth, production and transport applications from seed to stomach, as well as UV-C utilization for tea, milk and cold-pressed juice preservation.